Girls who want to have babies behave responsibly during the pregnancy. 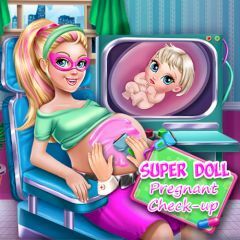 This super doll mommy visits a doctor to get a check up. Can you help her?